Steve Rice (Olympia, United States) on 6 April 2011 in Architecture. It was dark by the time we returned to the ferry pier in Central from Lamma Island. But, my favorite building in Hong Kong seemed close enough to touch. This is a beautiful and particularly dramatic night shot. Superb. I see a white heart up there or do i fantasize ? You must have be glad to be able to come that close of your fav here ! brilliant POV! it appears monolithic. and clear as crystal..well done! A beautiful composition and a very nice picture ! Fantastic architecture shot, Steve! Amazing level of detail. Excellent night shot with the dark blue sky! C'est magnifique ! J'ai l'impression de voir une fusée des temps modernes prête à décoller vers ce ciel noir et opaque ! beautiful tower ! great ! Terrific shot Steve. From this angle it looks like it's ready for blast off. wow... so impressive looking building at the night ! Impressive building and architecture. Like a big diamond in the sky. It's very often in the night that the city reveals its beauty and the tower filled with the lights of the life is more beautiful so ! Magnificent bright image ! Beautiful detail - great shot! impressive shot Steve! very well done! 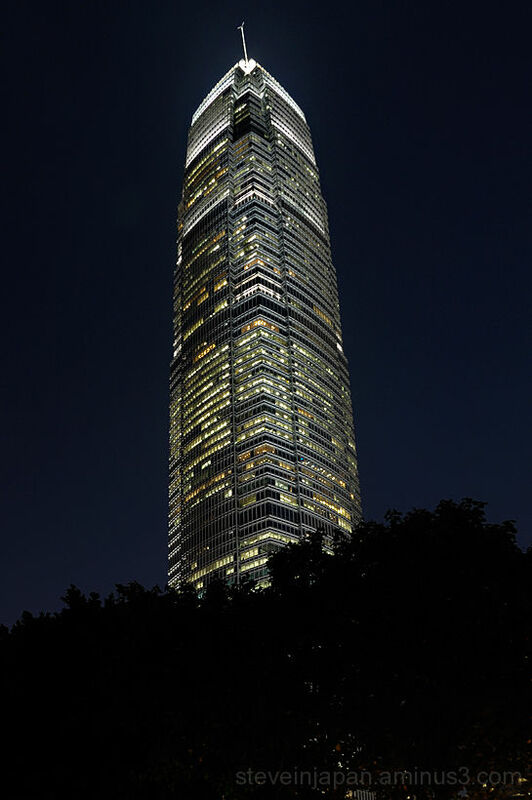 This is a fine night shot of this impressive high rise. Excellent shot. Impressive building ! I like the light and the dark ! Excellent shot of this building. What a great shot and control of the night light. Excellent exposure. Great capture of this building which stands out beautifully in the night sky. I really love the strong lines and the various illuminated floors. Gorgeous crystal tower in the sky. And beautifully illuminated, a great shot. Wow, pristine! I love this angle and the fine detail. wonderfully brilliant and sharp image, perfectly cropped! i love the midnight-blue sky all around it!